What’s with the new journal? I love this journal! We are so excited to launch our new show exclusive variant cover journals. Taking inspiration from the ongoing tradition of comics to create a show exclusive variant cover issue for each comic con, our fantastic artist, James Koenig, has put Questly with a dragon wrapped around the Soldiers’ and Sailors’ Monument on the cover of our Wizard World Indianapolis Con*Quest Journal. 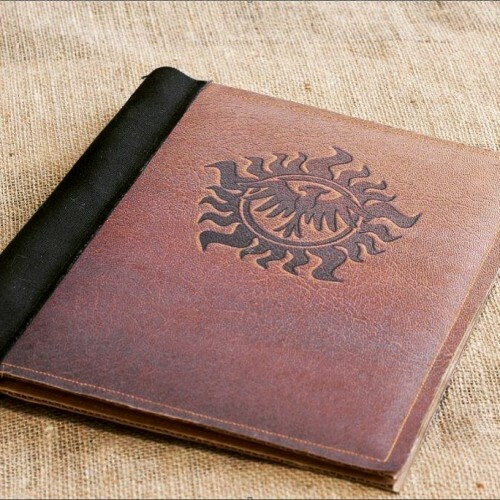 This new journal is only $25 and is available for pre-order to pick up in the booth HERE. I wanted to share why we are trying this new journal. 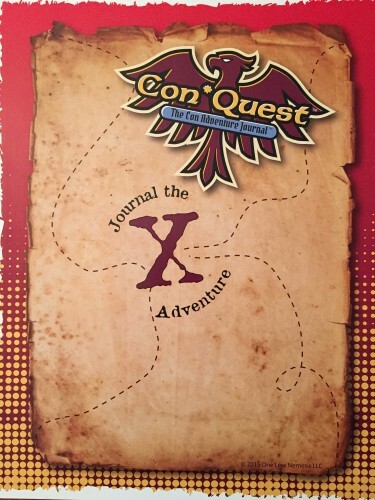 Our very first idea for the journal back in January 2014 was that it would be a city and show specific book, celebrating the event and becoming not only a place to stick your con stuff, but also a collectible of it’s own. When we began working with our manufacturer, we realized that to produce small dated quantities with that specific show would be cost prohibitive. So we designed our red canvas journal to be our deluxe version, one that was big enough, with enough pages for a big con or for several small cons. But our dream to make a collectible show journal was always there. We vended at several shows in 2014 and 100% of the people we talked to said “What a great idea!” when we explained what the journal was. This was great feedback and we are so proud of how far we came in one year. We also knew it was time to take the business to the next level. While vending a shows, we knew that attendees loved show exclusives. They waited in line for them, pre-ordered them and proudly showed them off. We also realized that some people might be prefer to have the option of a slimmer book at a lower price point. That’s why we are working now to add a new journal to our lineup. We think the variant cover show exclusives are the perfect addition! 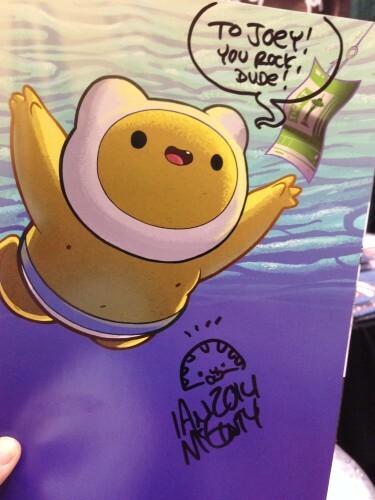 We want to have custom art created for each convention and release the art when they are made available for pre-order. 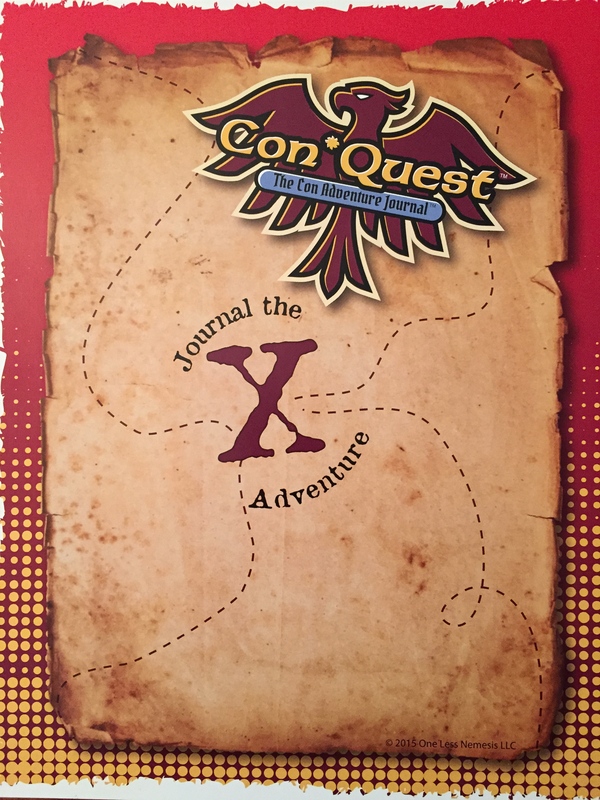 We want to create something so unique, that each year attendees will be watching to see what the new design will look like and then add it to their shelf of Con*Quest Journals. 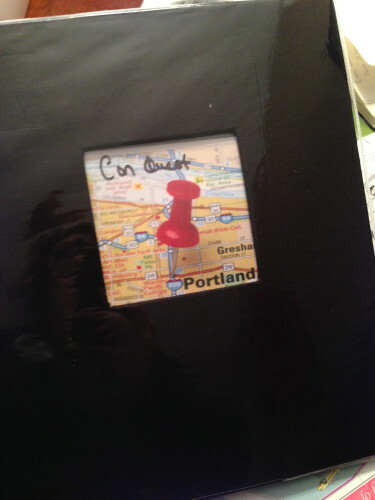 We want to be one of the first booths that people visit to pick up their new journal. 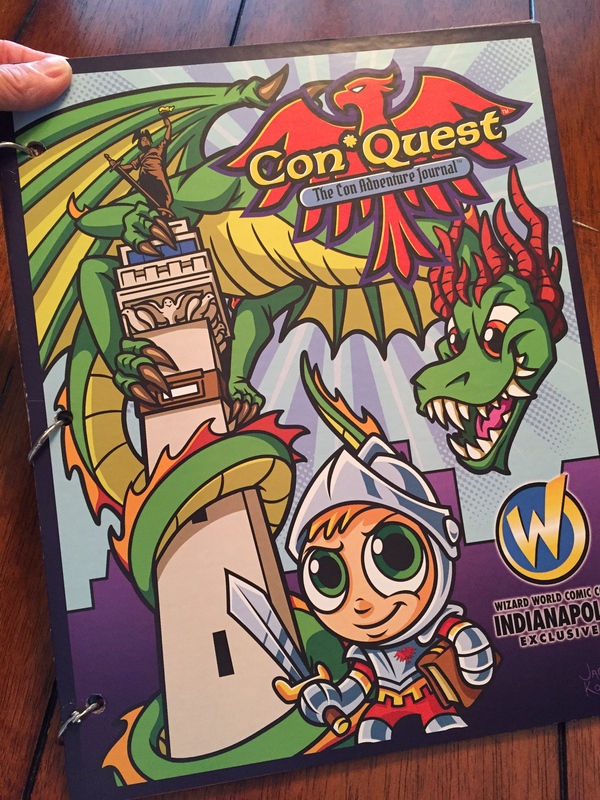 We are testing this out at Wizard World Indianapolis and plan to keep going with it for Supernatural, WonderCon, C2E2 and the other shows on our schedule. Keep an eye out for the new cover art and if you’re going to show, preorder one or just stop by our booth. If you have suggestions on things you’d like to see in the journal, please share! We love to talk about how we can keep making it better and better. 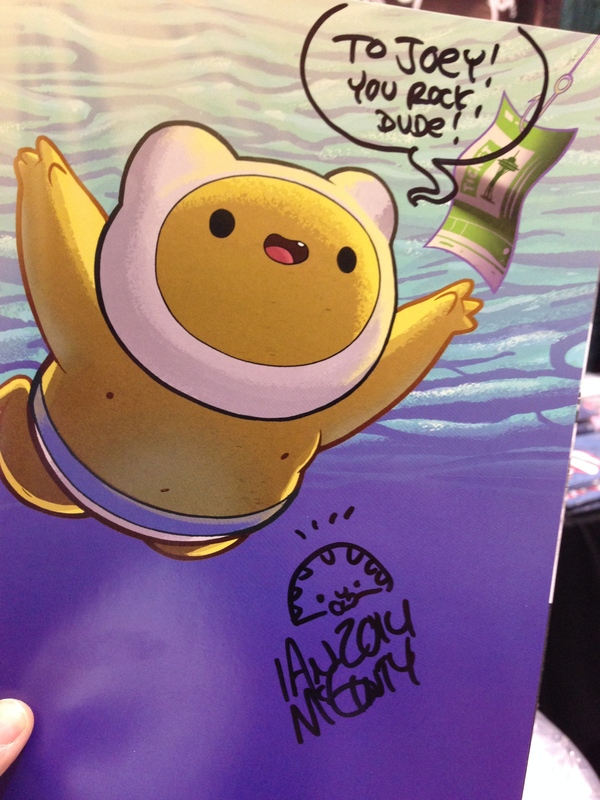 Thanks for the support and remember to Journal Your Con! Our first Variant cover EVER! We are so, so excited to reveal our first ever limited edition Variant Cover show exclusive journal for Wizard World Indianapolis Comic Con! Artist James Koenig, the talent behind Questly and our fantastic journal pages artwork, created this outstanding tribute to Indianapolis. I could not be more proud or more excited to have my hometown of Indy as our first variant journal cover city. 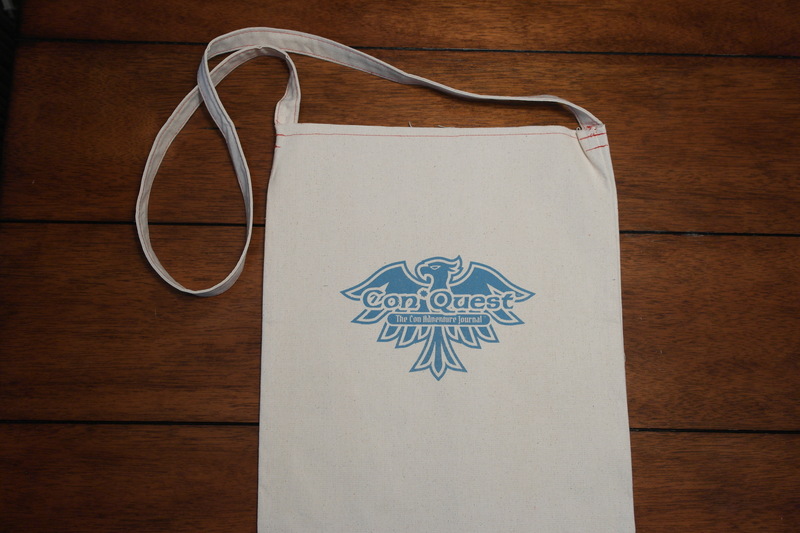 You can pre-order the journal and long handled tote bag HERE for booth pick up at the show. 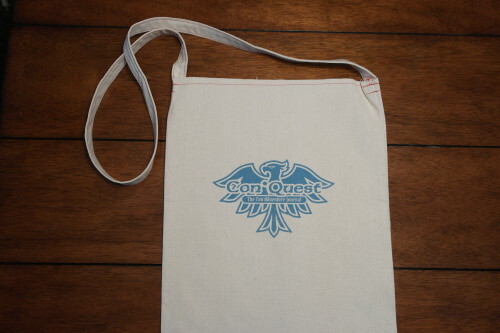 We are only having 75 made, so order yours now! As soon as we have our booth number, we’ll let you know. If you still need tickets for the show, KJ from WZPL has some great discounted ticket deals HERE!